TOKYO, November 22. /TASS/. Japanese Prime Minister Shinzo Abe highly values his personal relations with President Vladimir Putin and regards the Russian leader as a crucial partner, with whom he can address any issues, Abe said in an exclusive interview with TASS First Deputy Director General Mikhail Gusman. 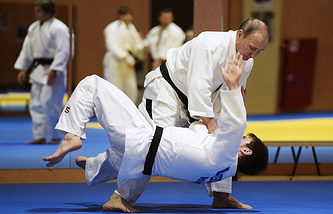 "I’ve met with President Putin 23 times already. I always feel that I can have a heart-to-heart talk with him. He is dear to me as a partner, and we can discuss any issues, including the most complicated and urgent ones, like for example, conclusion of the peace treaty," the Japanese PM pointed out. Abe added that he expects to meet with Putin during the G20 summit in Argentina, which is scheduled for late November-early December. 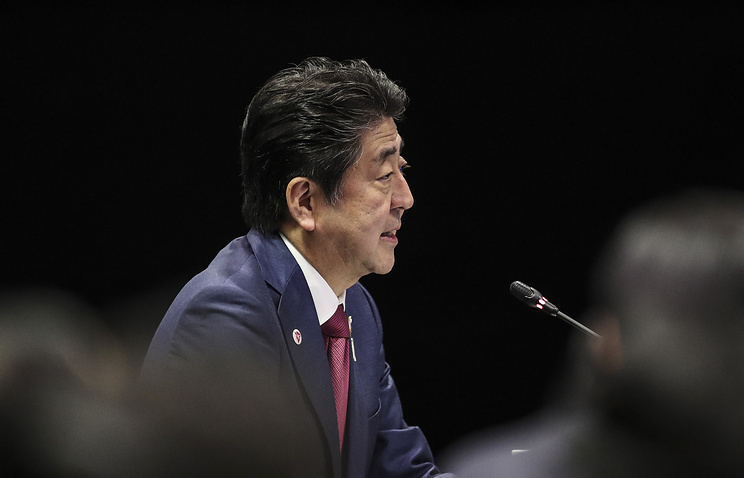 According to the Japanese Prime Minister, he also plans to visit Russia early next year to hold talks with Putin, after which, as Abe said, the Russian leader will be expected to come to Japan for the G20 summit in June. At a meeting in Singapore on November 14, Russian President Vladimir Putin and Japanese Prime Minister Shinzo Abe had agreed to beef up Russian-Japanese peace treaty talks based on the 1956 Joint Declaration, in which Moscow had expressed readiness to hand Shikotan Island and a group of small uninhabited islands of the Lesser Kuril Chain (called Habomai in Japan) over to Tokyo as a gesture of goodwill. The Soviet-Japanese Joint Declaration on ending the state of war between the two countries and restoring diplomatic and consular relations was signed in Moscow on October 19, 1956. Article 9 of the document says that the Soviet government agreed to hand over Shikotan Island and several small uninhabited islands of the Lesser Kuril Chain (which Japan calls Habomai) to Japan provided that their actual transfer to Tokyo’s control would happen after a peace treaty was concluded. The two states ratified the Declaration on December 8, 1956.